POWELL RIVER, B.C. 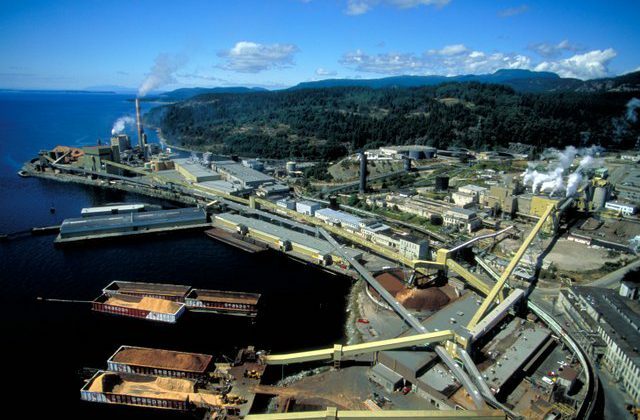 – Paper Excellence Canada Holdings Corporation is one step closer to acquiring Catalyst Paper Corporation, which includes Powell River’s paper mill. According to a company release, Paper Excellence “took has taken a significant step forward” on the road to acquiring Catalyst Paper Corporation. On Feb. 7, the Canadian Competition Bureau issued a no-action letter in respect of Paper Excellence’s previously announced agreement to acquire Catalyst Paper. The transaction involves the purchase of all of the shares of Catalyst, which owns mills in Crofton, Port Alberni and Powell River, a distribution centre in Surrey, and headquarters in Richmond. “This acquisition demonstrates Paper Excellence’s continuing deep commitment to the province of British Columbia,” stated Paper Excellence CEO Brian Baarda, in a release. Paper Excellence is a B.C.-headquartered company with close to two million tonnes of pulp production capacity through five operating mills in Canada and two mills in France.